Build this truck and prepare it's battery for action! Then add some salty water and watch the truck go! Includes an easy to install battery cartridge. Truck is approximately 10cm when built. 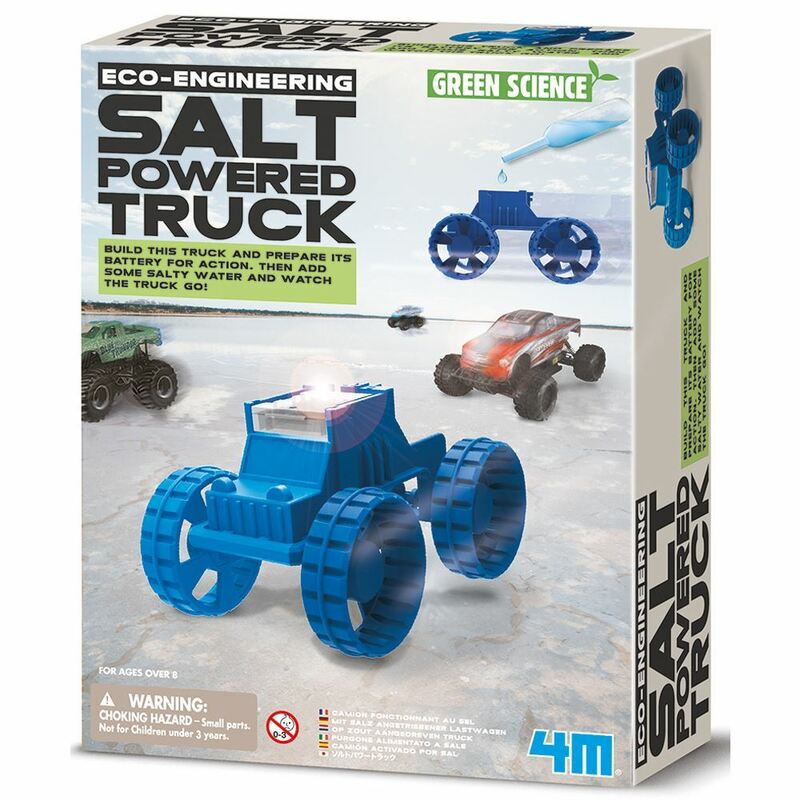 Contents: 1 x truck body, 4 x wheels, 1 x scoop, 1 x axle with gear, 1 x plain axle, 1 x battery cartridge, 1 x sachet of active carbon, 1 x motor with wires and contacts, 1 x dropper, 1 x cup, 4 x magnesium sheets, 4 x fabric sheets, 2 x copper sheets and detailed instructions. You will also need from home: table salt and a teaspoon. Age 8+ years. Part of the Eco Engineering range. Distributed in New Zealand by Holdson.